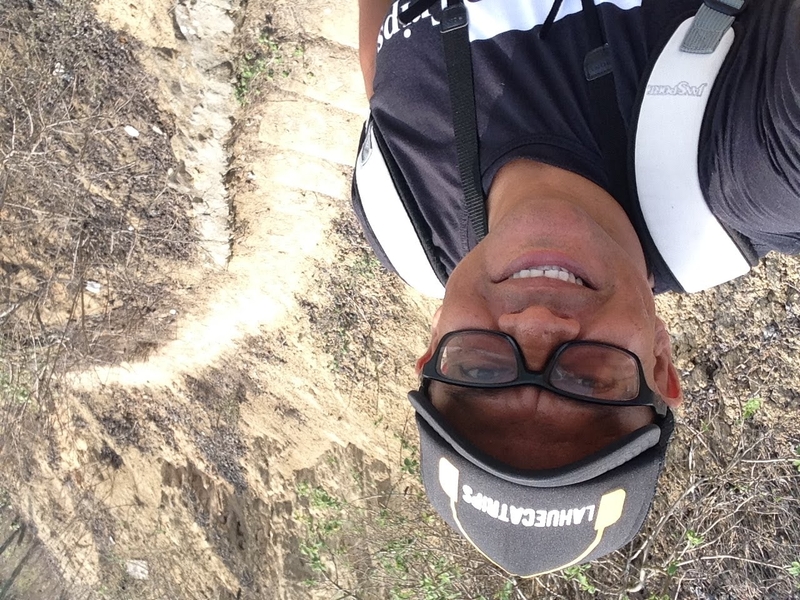 One of the things that I had always wanted to practice and I could not practice, it was the paragliding, an adventure sport that is practiced in the northern place of the Peninsula of Santa Elena in a community called San Pedro. 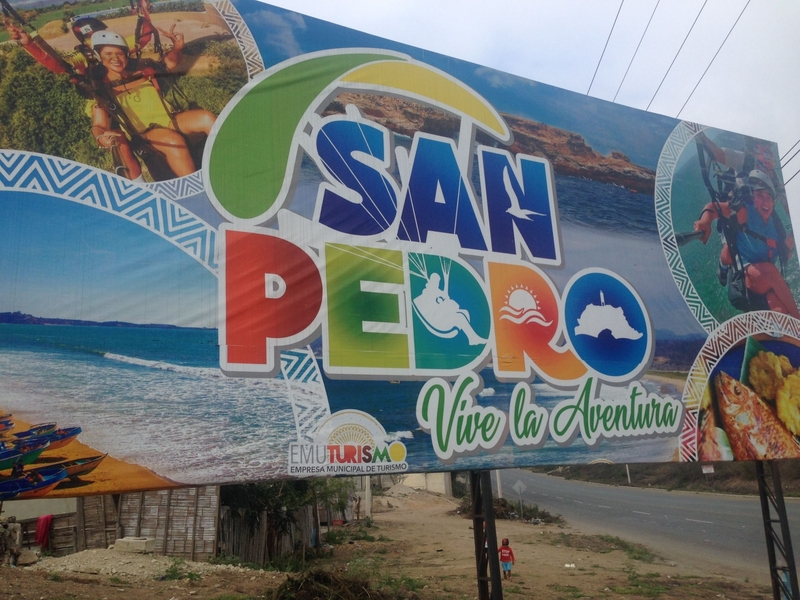 San Pedro is one hour from the Santa Elena terminal, a few minutes from Montañita. The value of the ticket from Santa Elena is $1,75 and if you go from Montañita $ 0.50 dollars. Once I got to the Paragliding place, I went up the hill where I would find the runway. 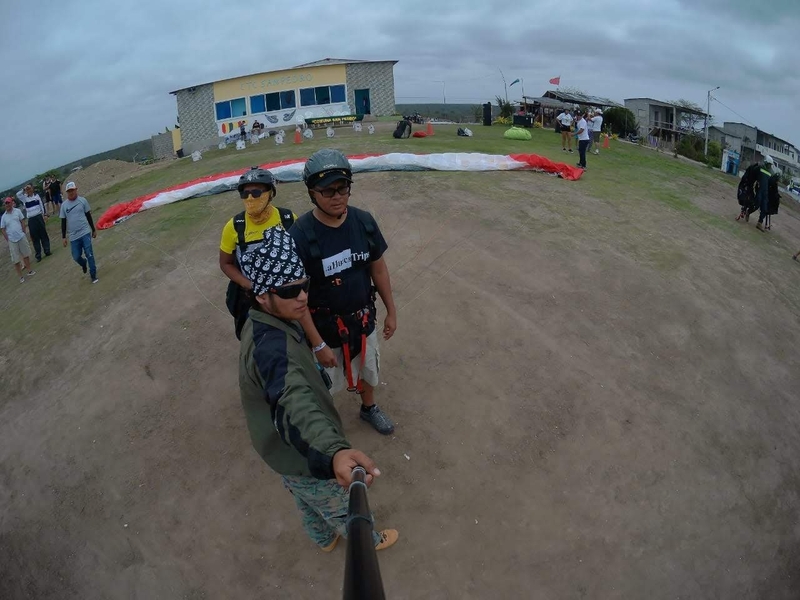 This tourist activity has been in the community of San Pedro for 12 years and it has eight certified pilots from the FEDA Paragliding School and the FAI that it is an international license. They are the Club Deportivo Formativo Especializado Halcones San Pedro. It is worth mentioning that all pilots are people who belong to the community making sustainable tourism a reality. Before leaving, I received all the necessary equipment. All the information and instructions to start the flight are given as soon as you get the equipment. It is my turn to fly and after the instructions given by Clive Salinas I am ready to fly in my first experience in paragliding. I thought that it will be complicated but it is easy and safe. (they have an insurance of $ 10,000 in case of any setback), the duration of the flight is 15 minutes where they do all kinds of pirouettes. The experience of a peace and tranquility in the air is indescribable, It makes you want to stay flying for longer but the most exciting are the photos that can be taken from the air. The service of a Go Pro camera is given in case you do not have a camera and you want to take pictures in all possible ways. I spent my time in the air and it’s time to land and it’s as easy as taking off without setbacks and with the help of the people in charge at the track, you can enjoy the experience to the full. After seeing several takeoffs I heard that there was a wedding proposal from the paraglider, on the track an arrangement made with flowers with the phrase Marry me. The boyfriend anxious for the arrival of the bride, after finishing the marry me on the soil and the song with the same name, the paraglider descends with the girlfriend who did not imagine what was going on. An anxious and scared boyfriend took a box to kneel and ask for marriage in front of the whole family and people that were in that place, a unique and different experience for the bride that accepted the proposal. If you want to live this adventure of paragliding you have to go to San Pedro, with a value of $ 30 the flight and an additional of $ 5 if you want the Go Pro camera for photos from the air. You can use your cell phone or camera to take photos. It is safe to take photos if you take the necessary precautions. The schedule is from Monday to Sunday including holidays. 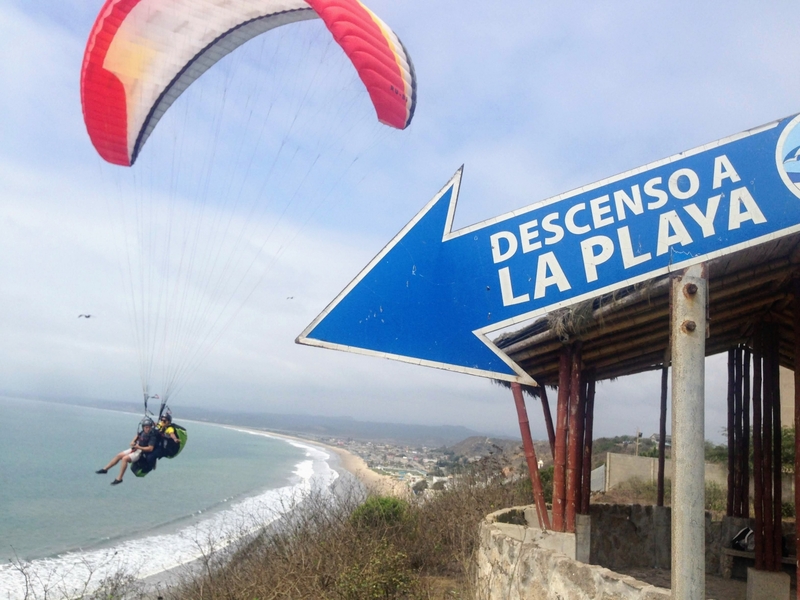 San Pedro’s paragliding is open from 10 AM until 6 PM. 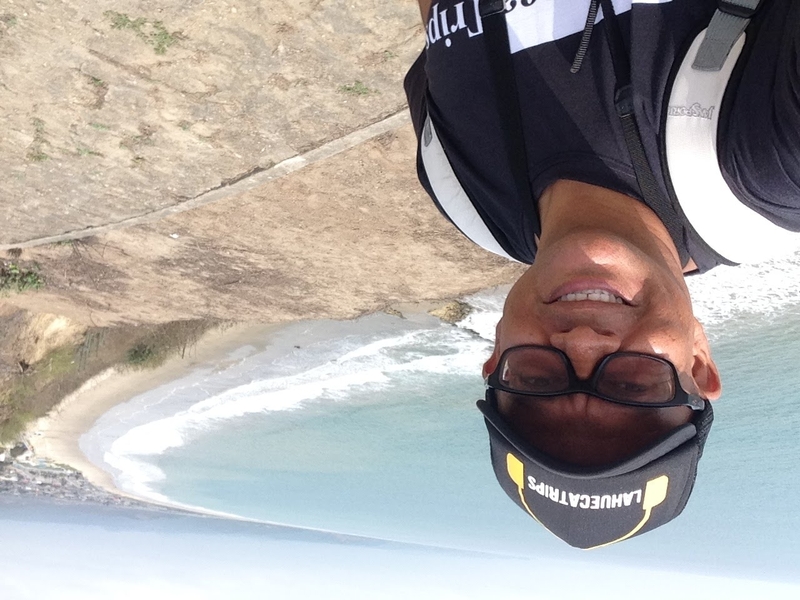 If you are looking for additional information you can visit his fan page on Facebook called Parapente San Pedro. Or You can contact Clive Salinas at the cell phone + 593 992249560 for more information. San Pedro Live the Adventure. A great name to visit this commune where touching the sky with your hands is in a single flight called … paragliding.